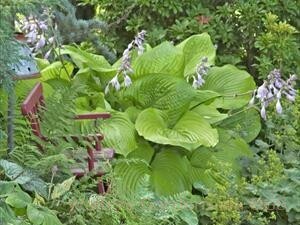 Product Information : A giant hosta! Leaf color varies with sun exposure from light green to chartreuse to gold. Slug resistant. Sun tolerant. Pale lavender flowers.